It’s 2011. If you’re invisible to the world, aren’t you also irrelevant to the world? 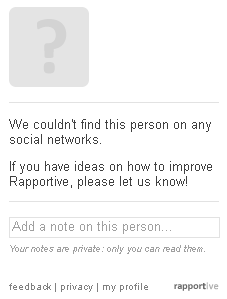 I use the Rapportive plugin for Gmail. It’s a pretty powerful little add-on that gives me enhanced profile information for the people that send me e-mail by tapping into Facebook, Twitter, LinkedIn, Skype, Flickr, my Google contacts, and more. 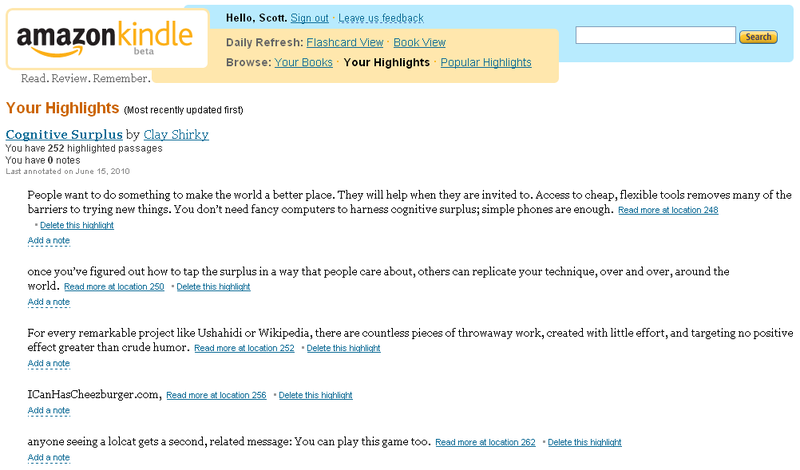 For example, if you used Rapportive, here’s what you’d see on the right side of your screen if I e-mailed you. You can see from my profile that I am richly connected and using a variety of social media tools. There are many ways to intersect with me, professionally and/or personally. This doesn’t mean that they lack a Rapportive profile. It means that they have no presence on any social networks. No Facebook, no Twitter, no LinkedIn, no Flickr, no etc. Nothing. I wonder about these people. They’re not just missing out. They’re missing out. In a world that’s hyperconnected and hypernetworked, these people are off the grid. Whatever ideas they have, whatever service they’re offering, whatever charity for which they’re trying to raise money, whatever product they’re selling – whatever they’re doing is invisible to anyone outside their local geography. In 2011, it seems to me that these people are largely irrelevant to anyone other than their local community. And though it might be fine for many to make that individual choice, that decision should stem from intention rather than ignorance. I also believe that we should be doing better by our schoolchildren. They may decide to go off the grid when they’re older, but in the meantime we should be doing our damnedest as educators to teach them how to be networked and connected in positive, productive ways because in the future almost all of them will want their products or services or charities or ideas to have some traction. 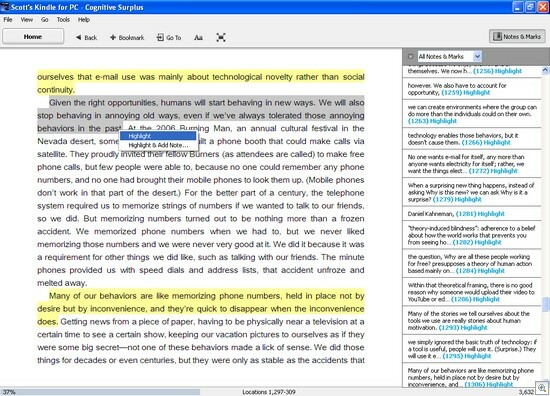 If this were a review, I’d give Rapportive 4 highlighters for being a solid bit of software that does what it intends quite well. But I’d give the person above 0 highlighters because I don’t know about her. And neither do you. 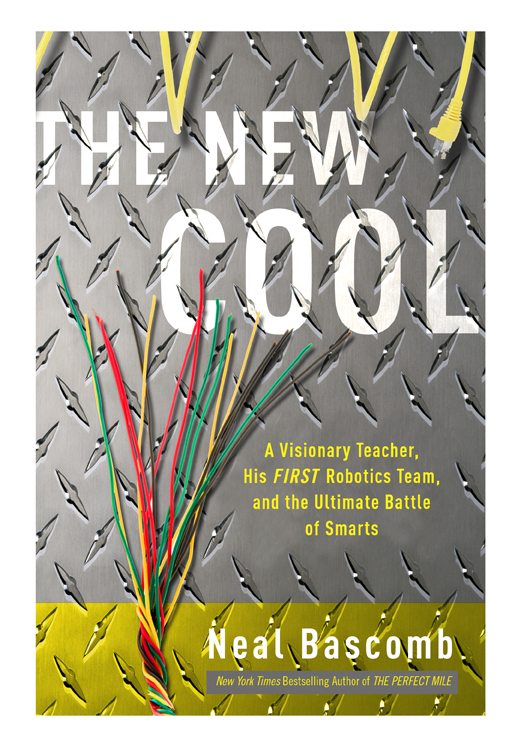 This post is a review of The New Cool: A Visionary Teacher, His FIRST Robotics Team, and the Ultimate Battle of Smarts by Neal Bascomb. My short recommendation? This book is a super-fun read that will get you into the hearts and minds of some of the most promising youth in our country. Bascomb is a bestselling author, known for his books The Perfect Mile, Higher, and Hunting Eichmann. 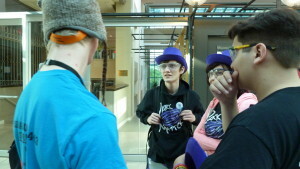 In this story, he profiles a California teacher and the students he is mentoring for Dean Kamen’s FIRST Robotics Competition. Bascomb hooked me as a reader early on; I was very quickly empathetic to and interested in what happened to these adolescents and their mentors. The story is about a group of high school students who are trying to create a robot that will succeed in the national robotics competition. While that might not sound too exciting on its face, Bascomb does a superb job of conveying the thrill and agony of competitive robotics [Note: these are not battle bots; they’re more like a ‘Mars rover’]. From the very beginning, the odds are stacked against these students. Not only do they not get along with each other very well, the technical challenges that they have to overcome are quite daunting and their competitors across the country are more experienced and have a long history of success. As the book progresses, the tension mounts: Could anything more go wrong with their robot? Will they get it built by the deadline? Will it succeed in competition? Will they all keel over and die from exhaustion? 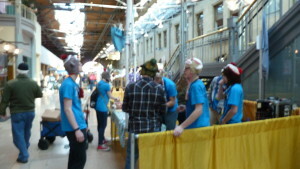 I sighed in relief multiple times as the high school robotics team overcame many of its obstacles. The challenges of building a working team, the critical importance of the coaches, the win-or-go-home competitions – all of the elements are there, just as they are for competitive athletes or musicians. One of the best parts of this book for me was learning more about the FIRST competitions. I am chagrined to say that I knew virtually nothing about FIRST beforehand other than that some kids in our middle school are involved in Lego League; now I’m a big fan. 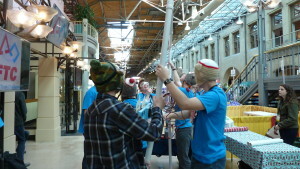 The hands-on engineering challenges that students across the country are working on are first-rate. 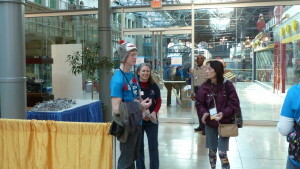 If, like me, you know nothing about FIRST, I encourage you to learn more and to support one or more of its competitions: Lego League, Junior Lego League, Tech Challenge, and Robotics Competition. this is what distinguished the FIRST competition from a science fair where students took what they already knew and put together a project on their own. By intention, Dean Kamen had no rules about the level of mentor involvement, allowing the kids to get real experience working hand in hand with engineers. 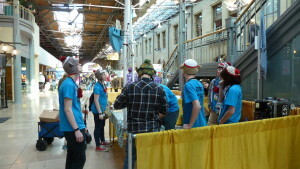 Before the first matches of the day, students and their coaches scrambled for the quick fix. They relinked broken chains, riveted loose frames, soldered wires, debugged code, and straightened bent aluminum rods with their bare hands. The smell of burnt metal, adrenaline, and sawdust saturated the air. What percentage of school districts across the country are involved in one or more of the FIRST competitions? Heck, what percentage even know about the FIRST competitions? Can I talk my wife into letting me (and maybe my kids) go see the national finals? I concur. We’ve got some serious problems to solve. We need to do a better job of celebrating our scientists and programmers and inventors. We need a whole lot more graduates who think of themselves as ‘badass’ engineers. Is this a life-changing book? Nope. Is it a great read and a fascinating story? Absolutely. A pageturner that I stayed up late to finish because I just had to know how it ended, I give The New Cool a solid 4 highlighters (out of 5). First of all, just as a reminder, the image below is the way that we’ve traditionally annotated ink on paper. Some of you like to use pencils or pens to underline, write notes in the margins, etc. In my life I’ve spent a small fortune on yellow highlighters. 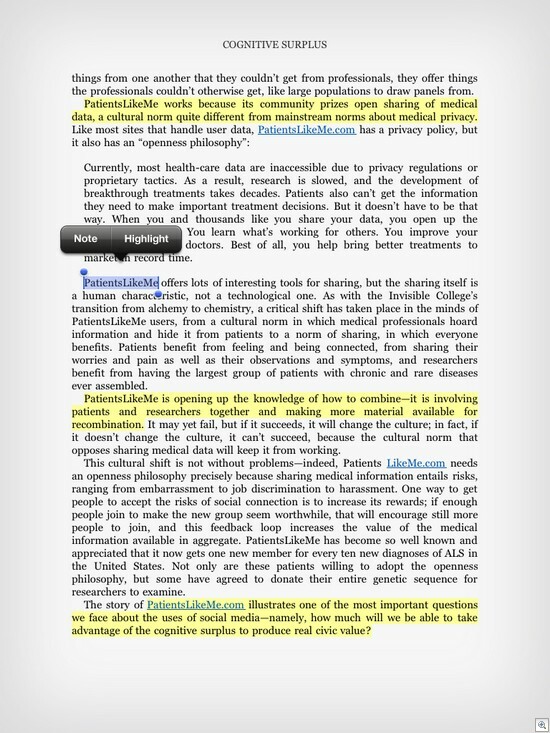 Will Richardson got me thinking with his post on using the Kindle app, his iPhone, and Evernote together for document annotation and sharing. So I decided to try it myself with the Kindle app. I don’t have an iPhone, but I do have an iPad and two iPod Touches. Once the word is selected, you can push and drag on either of the dots to resize the selection and cover more text. Note that the magnifying box helps you see where you are. 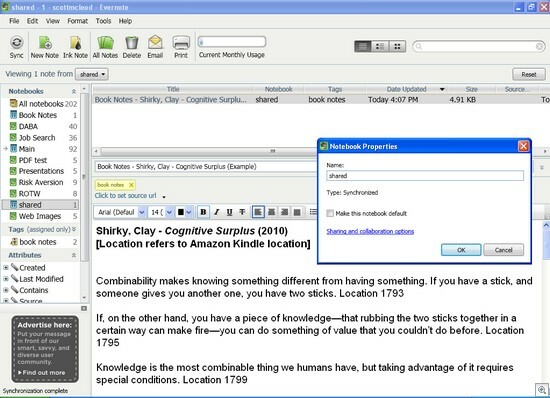 Once you’ve got your text selected, you click on Highlight or Note and it gets saved with your document. Repeat as desired. The process is the same for the Kindle App for the iPod Touch (or iPhone). Here are two images that show you what it looks like on the smaller screen. 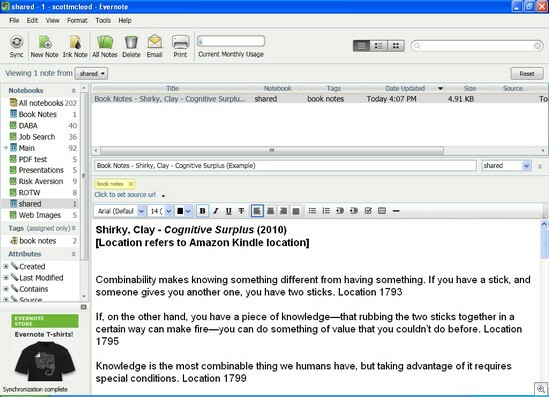 Again, note the draggable dots as well as the magnifying box. The Kindle App for the PC essentially works the same way. 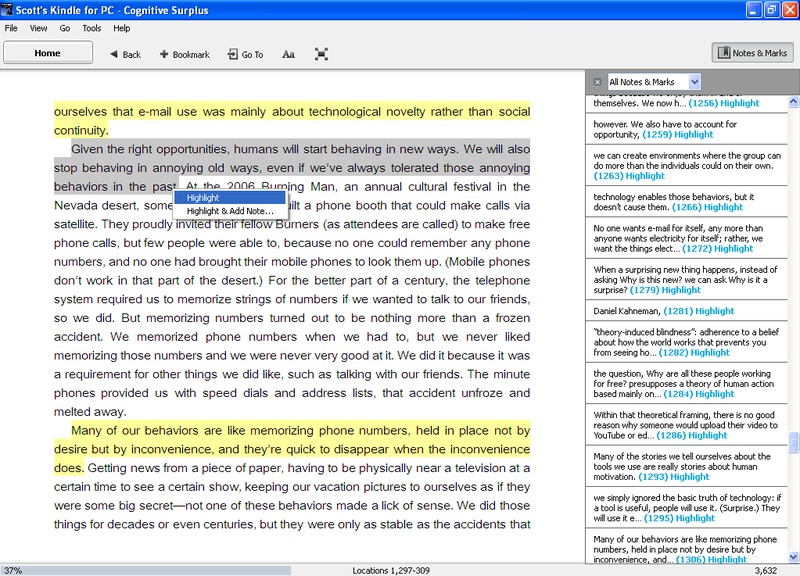 Use your mouse to click and drag, selecting the text you want in a highlight or note. When you’re done, select the option you want from the popup box. The gray text background then turns to yellow. See in the image below that the Notes & Marks button is selected at the top right, allowing me to see all of my notes and highlights in a scrollable list on the right. Note: The text you select in the Kindle App for the PC is NOT copyable for future pasting into another document. So far, so good. The process basically works like a traditional highlighter. 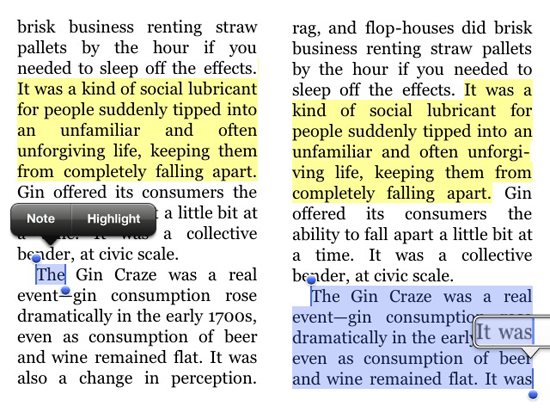 Every time I sync the Kindle app with Amazon’s server, my notes and highlights show up on all of my other devices too. I don’t have to lug multiple, heavy books around. I can just carry my ultralight laptop, my svelte iPad, or my pocket-size iPod Touch and have access to my reading and the accompanying highlights / notes. As Will noted in his post, the beauty of all of this, however, is that Amazon also makes available a web site where you can see all of your Kindle notes and highlights. I can even see an aggregation of others’ highlights if I wish (which is pretty cool). 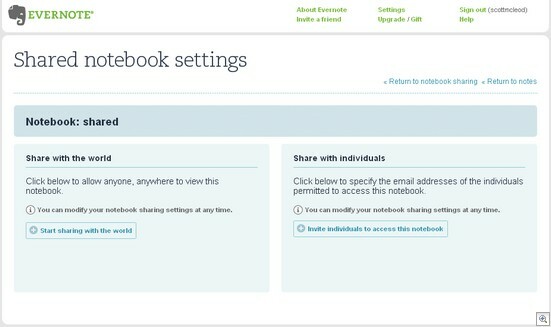 You can share your notes and highlights with others by making a public notebook (or tag) in Evernote. 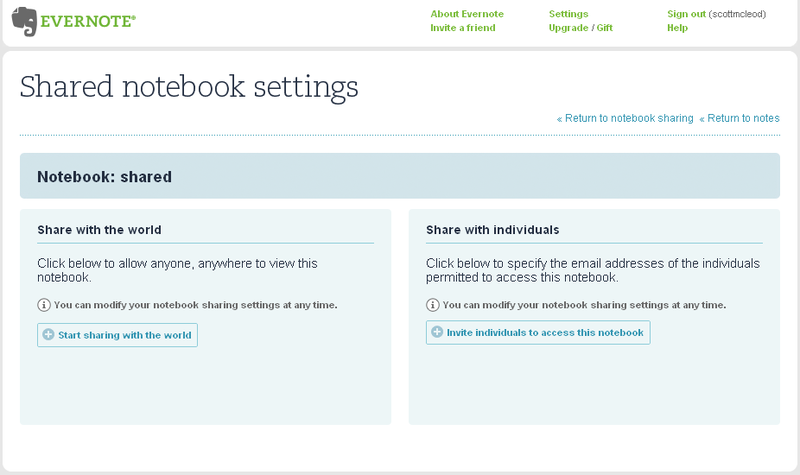 In the image below, I’ve right-clicked on the notebook I want to share and then selected Properties. 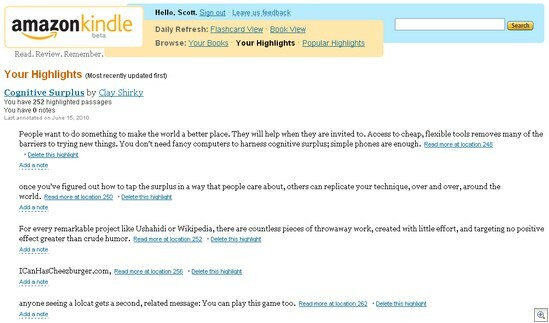 If you start sharing with the world, you get a personalized URL to which you can send others (e.g., www.evernote.com/pub/scottmcleod/shared). 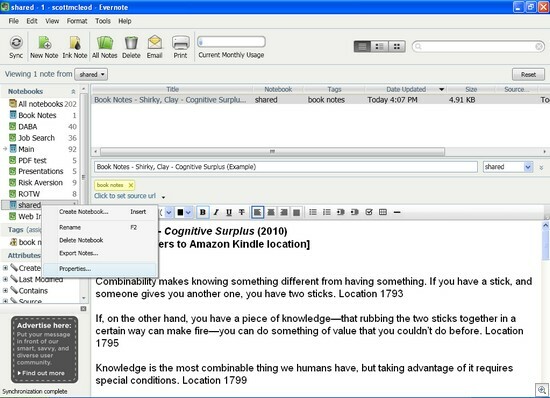 They can click on the appropriate note and see everything you’ve put in the now-public notebook. Pretty nifty! 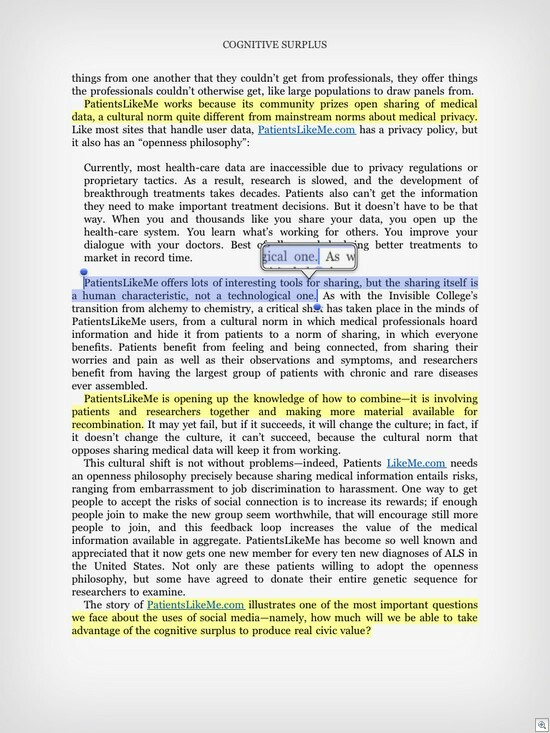 In addition to doing what Will did, I’ve also been experimenting with the iAnnotate PDF app for the iPad. I wanted a way to edit dissertation drafts, online reports and white papers, and other documents in PDF format. 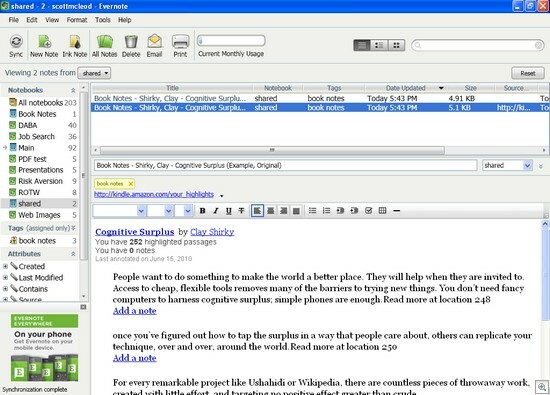 Although the GoodReader app (and, maybe soon, the iBooks app?) works great for viewing PDF files, you can’t edit them within the app. I read good things about iAnnotate and decided to try it. 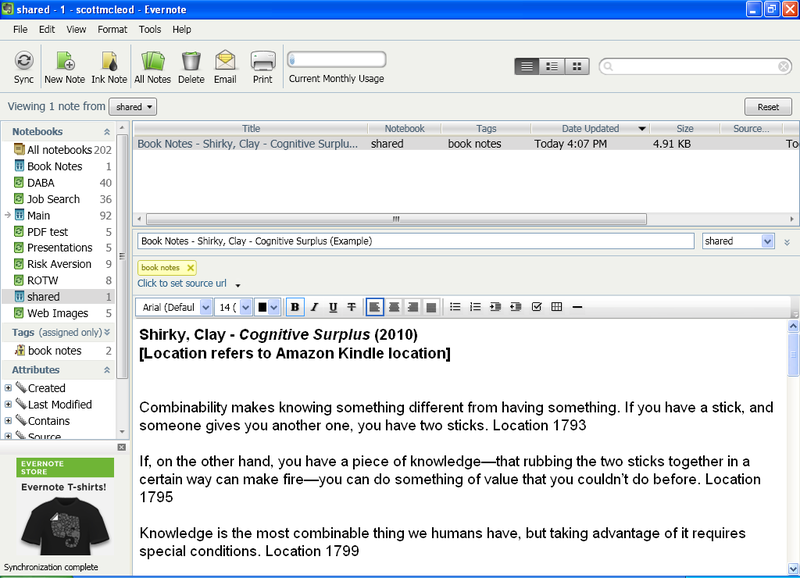 That text is then selectable, which means you can cut and paste it into other applications. Managing documents within iAnnotate is very easy, just as it is for the Kindle apps. 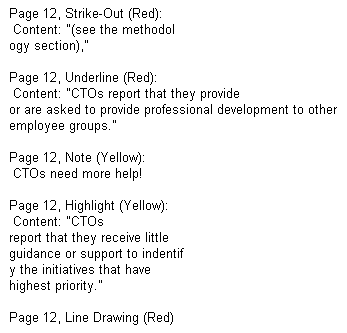 I love having all of the text from a book or report that I think is important – and ONLY that text – in one place. It’s searchable, it’s editable, it’s MINE. No more flipping through pages trying to find something. 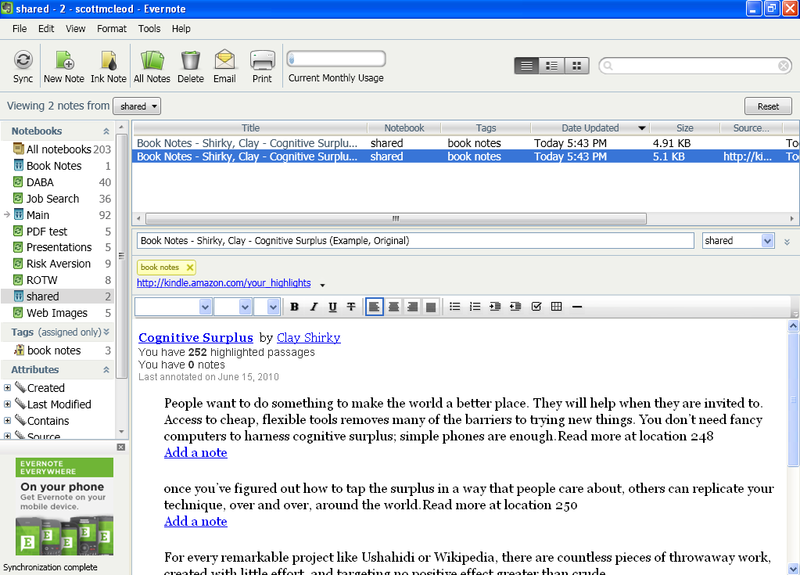 No more using multiple bookmarks and Post-It flags. A quick search and the text I want is there. It would be nice if you could cut and paste from the Kindle App (particularly the one for the PC) into other applications. The Pogo Sketchup Stylus – a special stylus for the iPad, iPhone, or iPod Touch – is worth every penny when it comes to annotation. Highlighting text – particularly on the iPad – is a breeze compared to using my (apparently too fat) finger because the stylus has a smaller surface area and thus is more precise. 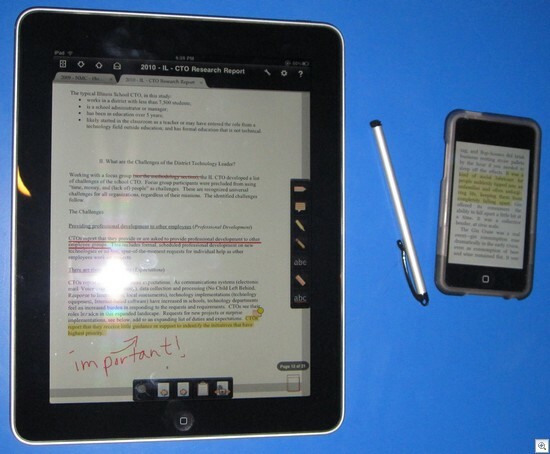 As digital annotation and sharing tools continue to become more robust, it becomes much more feasible to use iPads and other mobile computing devices as replacements for books and textbooks. Like Will, I may never buy a nonfiction book on paper again (unless I have to). 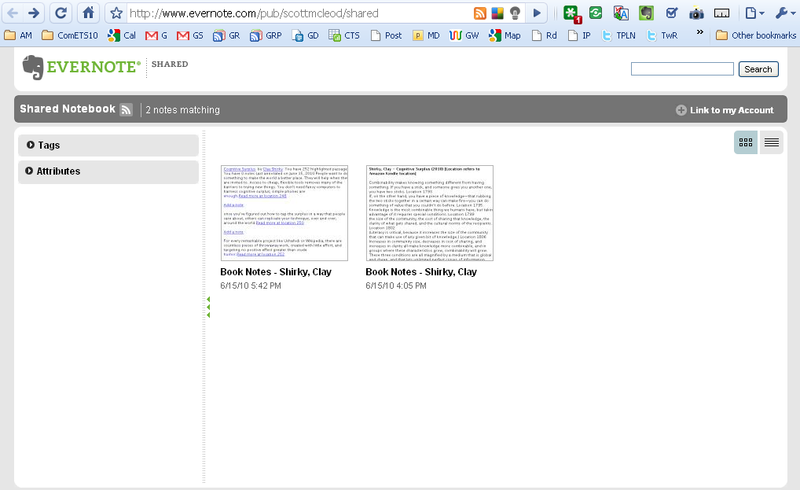 I like Will’s idea of getting notes off of the Amazon web page and into Evernote. If iAnnote or the iBooks app or other e-book readers and annotation tools also make available online or e-mail versions of highlights and notes, I’ll do the same for those too. That way I won’t have to worry about particular proprietary formats becoming obsolete. 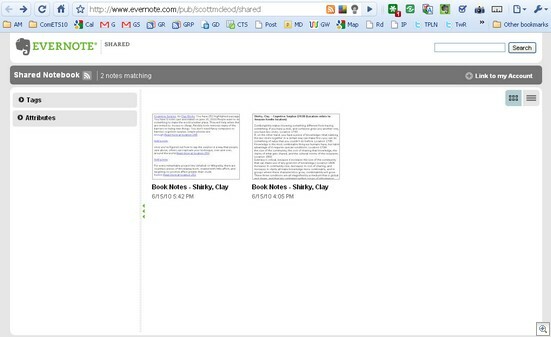 Now, if Evernote ever goes out of style, I’m in big trouble! So this is where I am right now with all of this. Although digital annotation using these tools is not yet as smooth as I would like, I’m deriving a lot of benefit from the new capabilities that I do have. How about you? 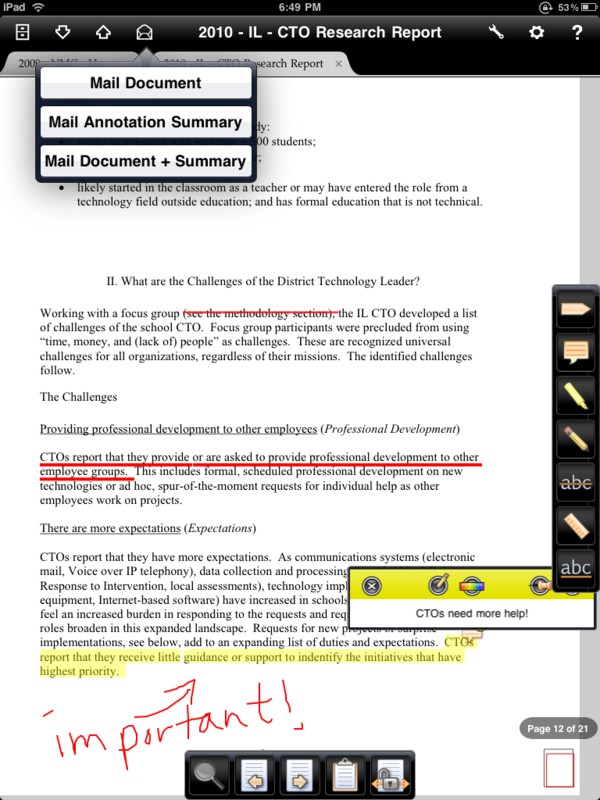 How are you annotating digital documents on portable computing devices? Got any tips or suggestions? My goal for June: 30 days, 30 book reviews. 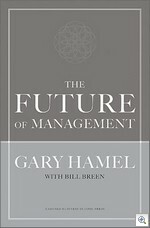 This post is a review of The Future of Management by Gary Hamel (and Bill Breen). My short recommendation? This book was easily the best leadership book I read in 2009 and should be required reading for all practicing and preservice school administrators. What ultimately constrains the performance of [an] organization is not its operating model, nor its business model, but its management model (p. x). [Unfortunately,] the equipment of [current] management is now groaning under the strain of a load it was never meant to carry. Whiplash change, fleeting advantages, technological disruptions, seditious competitors, fractured markets, omnipotent customers, rebellious shareholders – these 21st-century challenges are testing the design limits of organizations around the world and are exposing the limitations of a management model that has failed to keep pace with the times (p. x). In other words, as Charles Leadbeater says, “old groaning corporations are the wrong shape” for the fast-paced, ever-changing, innovation-driven, global economy in which we now live. These ring true for school systems as well as corporations. Guess which ones school systems reward, both for their students and their employees? I liked Hamel’s emphasis on organizational learning. For example, he notes that “there is no surer way to undermine a new business venture than to measure it by the profits generated, rather than by the learning accumulated” (p. 225). Unfortunately, this happens all too often in the public schooling context when it comes to standardized testing results. One section of the book profiles different companies that are management outliers and identifies some key management lessons to be learned from them. For example, a key idea from Whole Foods Market is that “the biggest obstacle to management innovation may be what you already believe about management” (p. 79). One of the key lessons from W.L. 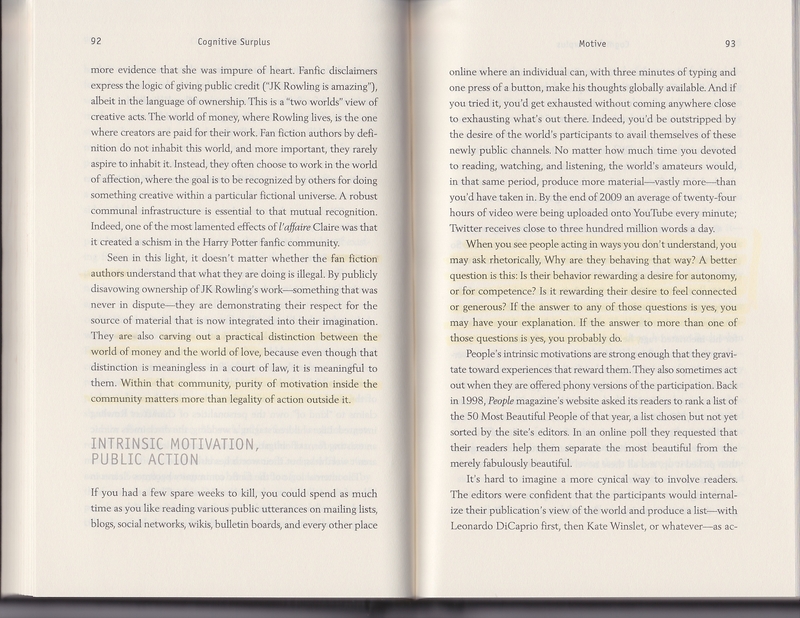 Gore is that “management innovation often redistributes power (so don’t expect everyone to be enthusiastic)” (p. 96). 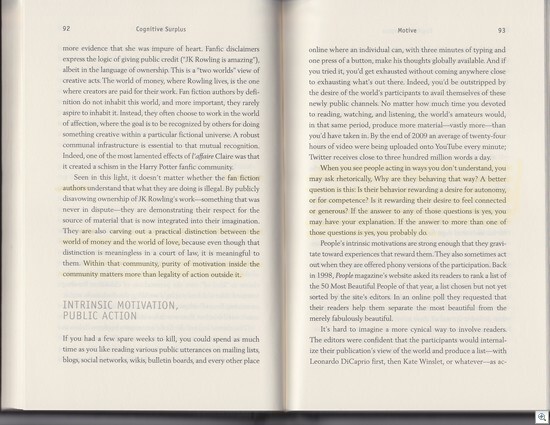 A key lesson from Google is that “experienced managers may not make the best management innovators” (p. 119). The people who have a stake in the old technology are never the ones to embrace the new technology. It’s always someone a bit on the periphery, who hasn’t got anything to gain by the status quo, who is interested in changing it” (pp. 127–128). There are a small handful of us in educational leadership academe for whom this directly applies. We are trying to figure out how to publish or perish and become recognized as national experts in this new information landscape rather than the traditional one of peer-reviewed academic journals. We have little interest in burying our writing in places that educators in the field never read. We have little interest in writing that is disconnected from conversation and collaborative knowledge-building. We’re all in the first decade (or less) of our scholarly careers, however; we don’t have the legacy disability of having built our reputations in the world of ink on paper. Time will tell if we’re successful at challenging the old system or if we get beaten down and/or driven out by our collective peers. Hamel notes that current management was built around some core principles: standardization, specialization, hierarchy, alignment, planning and control, and the use of extrinsic rewards to shape human behavior (p. 151). All of these are under assault in our new technology-suffused, hyperconnected, globally-interconnected society. Some of the new management principles that now are ascendant include variety, flexibility, activism, meaning, and organization for serendipity (p. 179). Those are great issues around which to invent the future of management. Does this sound like public schools to you? It does to me. How many public school systems have a hope of ever pulling off even a fraction of this? How long will it be before policymakers and parents recognize the limitations of current management strategies and begin advocating for something different? Are ANY educational leadership preparation programs talking about this stuff? The challenge for all school leaders – and the university programs that prepare them – is how to initiate and sustain these kinds of changes. This is what I’m wrestling with as an educational leadership professor. This is an excellent book. I have no hesitation giving it 5 highlighters (out of 5). My goal for June: 30 days, 30 book reviews. 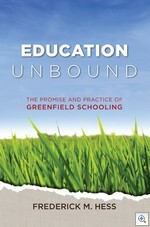 This post is a review of Education Unbound: The Promise and Practice of Greenfield Schooling by Rick Hess. My short recommendation? I believe that this is a book that will substantially stretch educators and policymakers and should be required reading for any university educational leadership program’s education policy course. 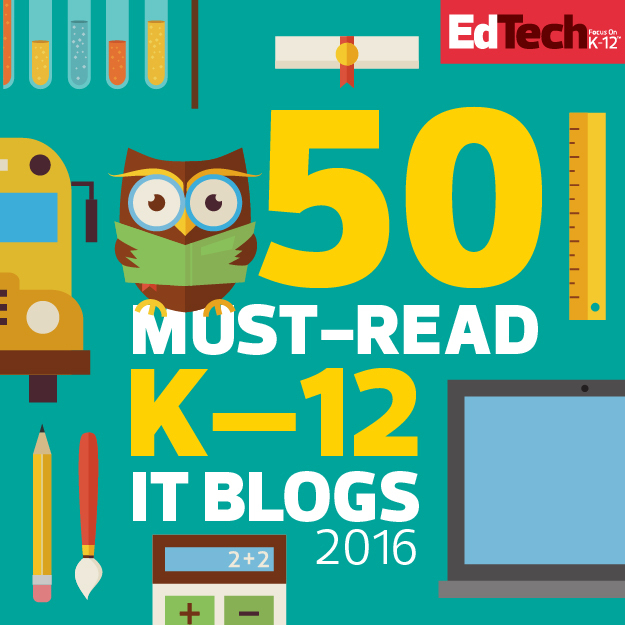 Hess’ essential premise is that we need more innovation and entrepreneurship in K-12 schooling. 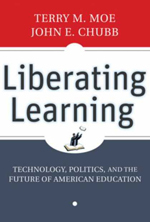 He believes that the “greatest challenge for teaching and learning is the creaky, rule-bound system in which they unfold” (p. 3) and that school organizations are “so hobbled [by various legacy characteristics] that even sensible efforts will fall short” (p. 3). He advocates for a greenfield approach to schooling, one that clears the ground for innovation and allows reform efforts to proceed unhindered by restrictive policies, mindsets, and other constraints. This is not just a book about school choice. As Hess notes, greenfield approaches to schooling require “that choice be coupled with opportunities for entrepreneurs to enter the field, obtain resources, recruit talent, try new approaches, develop new products, compete fairly, and benefit from their successes. . . . [We] have paid little attention to the development of the infrastructure, quality control, and policy environment needed to turn school choice plans into greenfield” (p. 33). In Chapter 2, Hess identifies four tasks that are crucial to greenfield educational reform: “removing obstacles, ensuring quality, and supplying both talent and financial resources” (p. 41). He then describes in detail in Chapters 3 through 6 the issues, the challenges, and some potential solutions in each of those four areas. Unfortunately, as Hess notes, “for all their virtues, [American] schools … are not noted for their embrace of creative problem solvers” (p. 1) and that “the vast majority of superintendents [and principals] have learned to regard precedent-breaking action as risky and conflict as something to be avoided” (p. 61). I liked Hess’ recognition that we tolerate wide discrepancies in outcomes when it comes to public education but not when it comes to for-profit educational services. For example, he says that “in education, we … are much more squeamish about [for-profit] approaches that may yield uneven quality (even if we quietly tolerate massive mediocrity and unevenness among existing school districts)” (p. 85). I think that’s an important point worth emphasizing. We are so afraid that for-profit solutions will cause harm to students. Of course some will. They already do, and we should work to prevent those from happening as much as we can. But the same is true for public education. We shouldn’t stifle opportunities for innovation for some perceived notion of educational quality that, in reality, is also variable in the public sector. Instead, as he advocates, we need better oversight and better mechanisms for accountabilty, ones that go far beyond – and are more robust and complex than – the simplistic bubble-sheet accountability measures that we have now. What is the likelihood of us ever achieving even some of the greenfield approaches that Hess advocates? 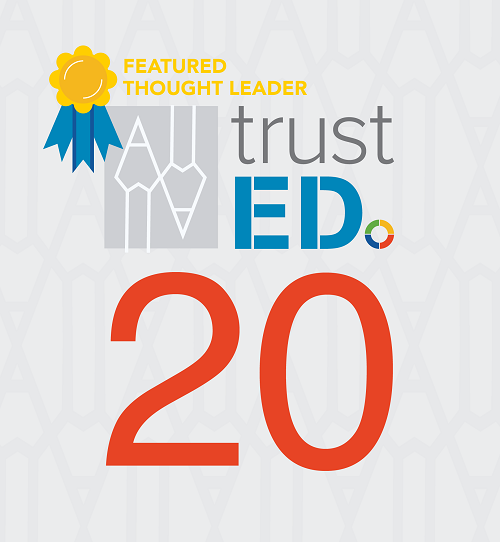 What are the best ways to address the “supplement but not supplant” mindsent of school leaders, teachers unions, and policymakers when it comes to technology and personnel? 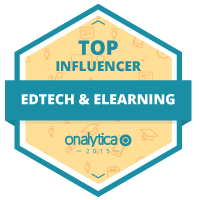 Can we get educators to recognize that digital technologies will supplant some of their work – and some of them – and that this will be a good thing for students? I liked this book a LOT. I like any book that really stretches my own thinking and pushes me into new areas that I haven’t considered much. This is one of those books and I bet it will be for you too. I give it 5 highlighters (out of 5). This book was sent to me gratis by the publisher. I was not compensated in any way for this review and was not asked by the author or the publisher to write positively about this book. My goal for June: 30 days, 30 book reviews. 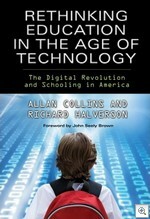 Today’s book is Rethinking Education in the Age of Technology: The Digital Revolution and Schooling in America, by Allan Collins and Richard (Rich) Halverson. This book is a worthy addition to any school administrator’s nightstand and should be required reading in university educational leadership preparation programs or teacher education programs’ history of education courses. The authors blend a historical perspective on schooling with a keen understanding of the potential of technology for the present and future of learning. Notice the distinction between schooling and learning. In this book, that distinction is important. As the authors say early on, “It is time that educators and policymakers start to rethink education apart from schooling” (p. xiv, emphasis added). They also note that “most of the changes in the way people acquire information are occurring outside of schools” (p. 5) rather than in them. Collins and Halverson state that our society already made the shift from an apprenticeship model of education to the universal schooling era. At present time we are living through a new shift: a move from universal schooling to an era of lifelong learning. This is resulting in big changes related to responsibility, expectations, academic content, pedagogy, assessment, location, culture, and relationships (see Chapter 6). The authors emphasize that the local school will not be replaced, but the role of new alternatives such as community-based learning centers where students and adults work side by side, workplace learning, home schooling, and virtual schooling “will make us rethink the dominant role of K-12 public schools” (pp. 3–4). I liked how the authors devoted a chapter apiece to the arguments of technology enthusiasts (Chapter 2) and technology skeptics (Chapter 3). While they are admitted technology enthusiasts, I thought they did a pretty good job of presenting the opposing arguments fairly and thoughtfully, particularly when one also adds in Chapter 7, which addresses what we might gain and lose in a new educational paradigm. I also liked the discussion in the book about the growing disparity between the haves and the have-nots. 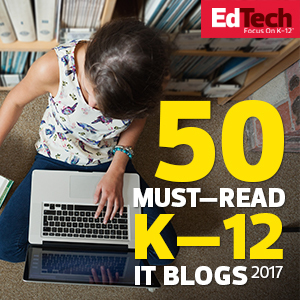 As the authors note, “if educators cannot successfully integrate new technologies into what it means to be a school, . . . students with the means and ability will pursue their learning outside of the public school” (p. xv). We are not talking enough about these social justice / equity issues. One of the key points of the book is that there are “deep incompatibilities” between current schooling practices and the “demands” of new technologies (p. 6). 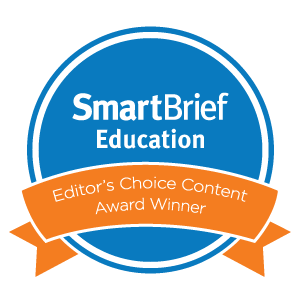 Significantly, the authors recognize that technology makes teachers’ work more difficult: it requires instructors to acquire new skills, undercuts the lockstep model of schooling, and undermines educators’ classroom expertise (p. 6). 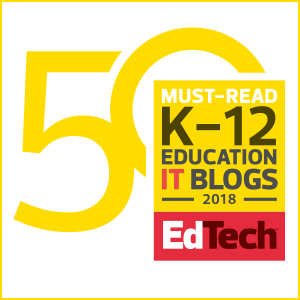 Many technology enthusiasts – including myself – often don’t pay enough attention to the complexity and difficulty of what we’re asking educators to do. Halverson has done a great deal of work related to educational gaming. 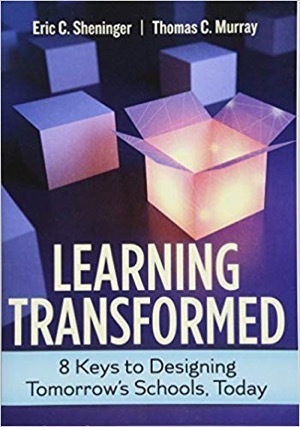 I’m glad that he and Collins integrated throughout the book some discussion of the enormous potential of computer simulations for both student and adult learning. Could / will we create certificates of mastery in other fields like the ones that have been developed for information technology professionals? If so, will those eventually replace to some degree the credentialing role that typically has belonged to secondary and postsecondary institutions? Will we see the re-emergence of the apprenticeship model, this time facilitated by online mentors, software, and/or simulations? 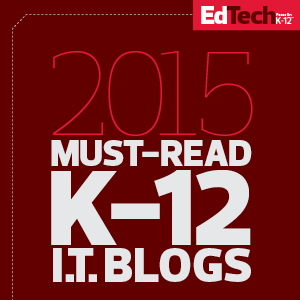 Are technology skeptics looking at and assessing relevant, appropriate student outcomes? For that matter, are technology enthusiasts? 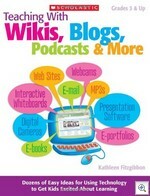 This book was probably my favorite educational technology book that I read in 2009. I gave a copy to Will Richardson when he visited Iowa last December and he liked it too. It’s a very thoughtful, insightful work and I can’t recommend it highly enough. I have known Rich Halverson a long time and am absolutely delighted to award his book 5 highlighters (out of 5). To the powers that be, innovations of true consequence are not attractive. They are threatening – and they need to be stopped, whatever advantages they might offer to children and the nation’s education system. That is why, in state after state, what we see . . . [is] political action by the defenders of the system – mainly the unions – to defuse change and keep the system pretty much as it is. Although I got the authors’ point (quite clearly! ), and even agreed with some of what they said, I thought that the tone and overall approach of the chapter was over-the-top. Many educators will not make it through Chapter 3 because they’re too disgusted – not with what the authors say but how they say it. This is too bad because I think the book is definitely worth reading. The common theme [of student surveys] is one of frustration. 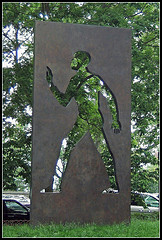 Students complain that there are too few computers, too many limits on computer time and Internet use, and too little reliance on computers for class assignments and research. . . . What they want is a technology-rich educational environment in which they have the freedom to roam and discover and interact. What they get . . . are limited computer and Internet resources, lots of restrictions, teachers who lack knowledge and interest in technology – and an approach to education that looks pretty much as it always did. (pp. 105–106).